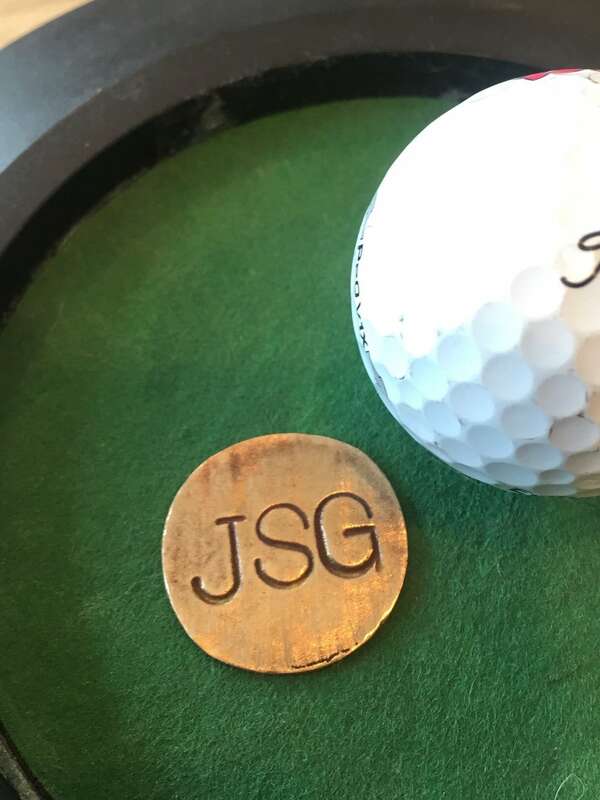 Bronze Personalized Initial Ball marker. Add initials in notes section. Please enter 3 letters in order you would like them to appear on charm. Charm is approximately 3/4 inch.